What’s right, what’s wrong? What’s morality? Is any of what we perceive as “life” even real or a simulation or…? Does any of this matter? Plunge into the murky abyss and bathe your conscience in the mirror pool of existence. 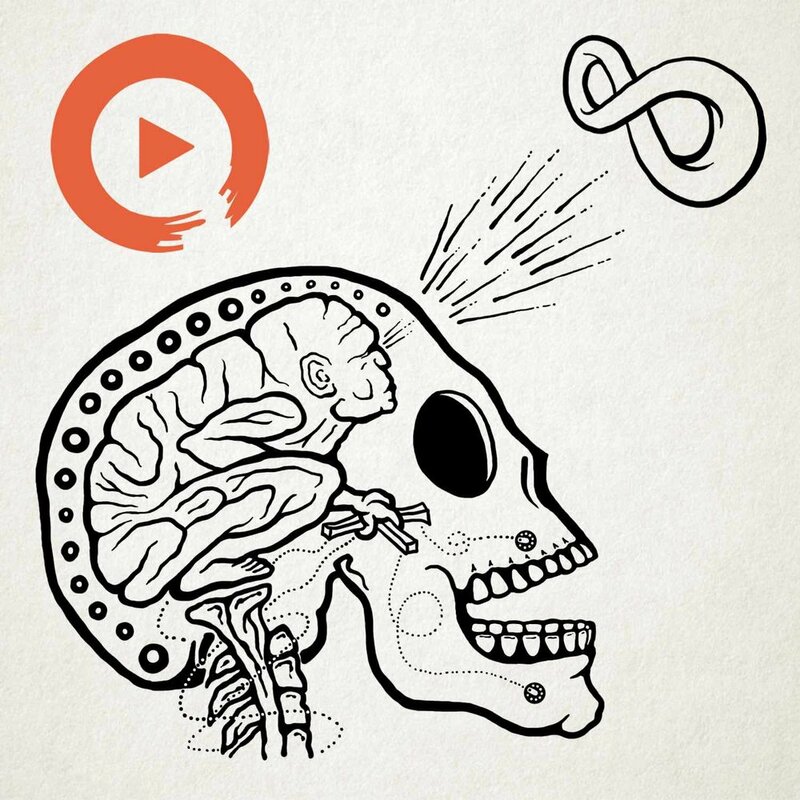 An eclectic mix of existential tunes to arouse your psyche and stare down your third eye. We receive more tracks than we have time to listen to, here's how you can pretty much guarantee that we will listen to your track. 2/ in that first answer, write a compelling couple of paragraphs about why your track would be a good fit for this list. If you're a fan let us know your Twitter / Facebook / Instagram etc so we can link to you. Likewise, if you're a band or label, give us the digital links you would like to see included as well as a link to an image that you would like us to use. Be aware that we get hundreds of submissions and while we do listen to everything, we don't have the resource to get back to everyone. If your track made the playlist we'll let you know. With a track title like “Another Divine Joke”, how could it not be right for the playlist. This opening track from the debut album by “Lo! Peninsula will take you on a cosmic cruise past the pineal gland and blast a hole through the back of your cranium…. When you’re writing a guest post on another curator’s playlist, you’d better bloody not bury the lede! That this spectacular track comes with an amazing video just puts it over the top - stop what you’re doing and take 5 minutes to check it out - trust me - you have the Time!.. Are you one of those people who yearn for the answers to the infinite? What happens in the afterlife or a previous life? From the mind of Ryan Karazija, comes the soulful melodic offering “Low Roar”.